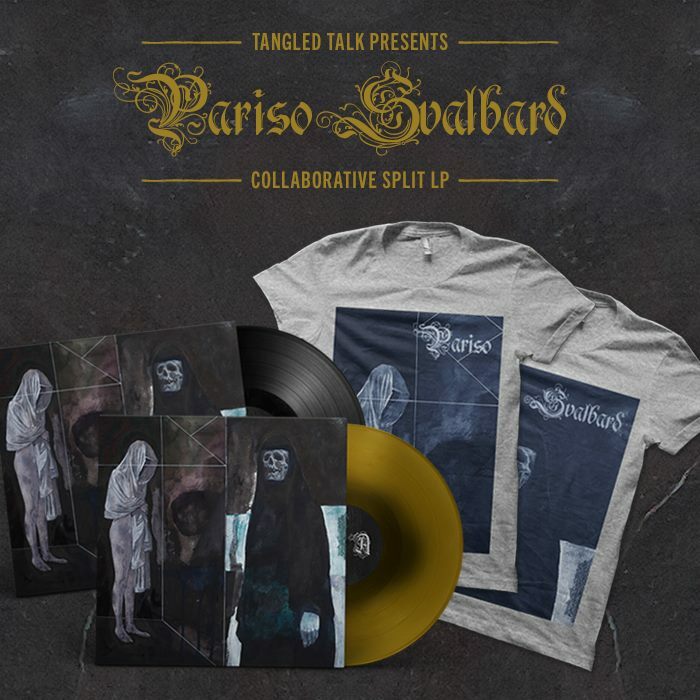 Pre-order the forthcoming Svalbard and Pariso collaborative split LP now, from the Tangled Talk store! There are various bundles available, including very limited gold with black haze vinyl and t-shirts with artwork from Daniel P. Carter. You can also pre-order the LP from Holy Ground (USA), Swarm of Nails (FR), and Through Love Records (GER).